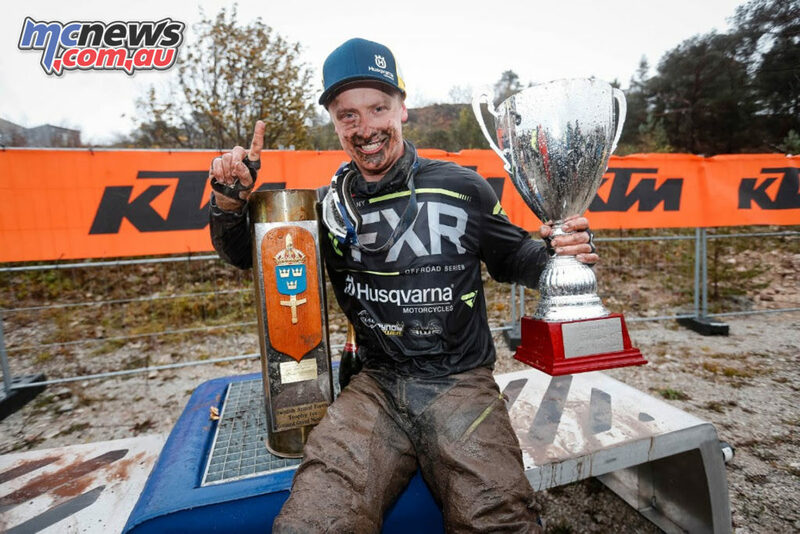 It was local Swedish riders who dominated the 2018 Gotland Grand National, comprising Round 7 of the World Enduro Super Series, with Albin Elowson topping the podium ahead of Robert Kvarnstrom and Ken Bengtson in the muddy conditions. 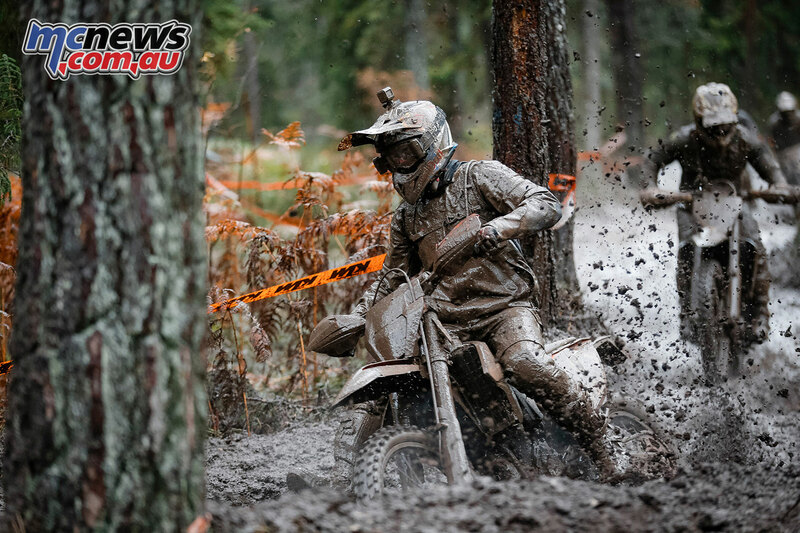 Renowned as the world’s largest Enduro race, over 3000 riders competed in this year’s event, with Friday kickstarting the proceedings where up to 600 Hobby riders enjoyed near-perfect conditions. 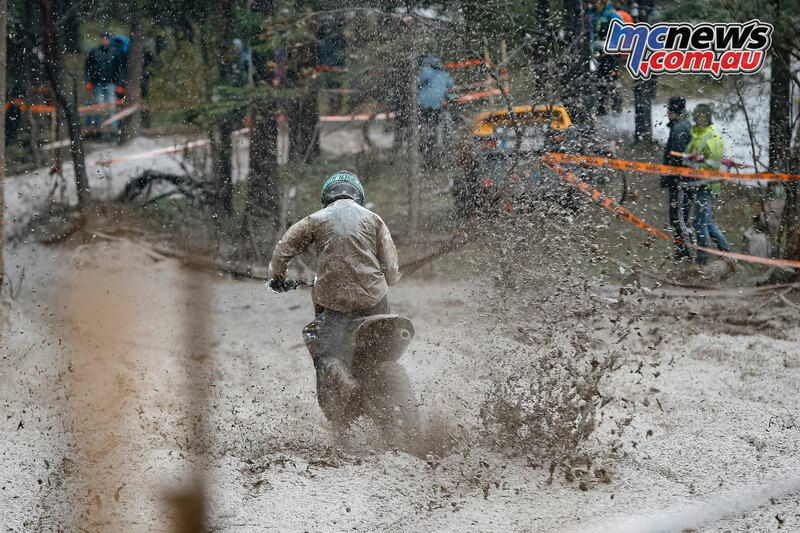 From Friday evening onwards however, the rain fell hard on the Scandinavian circuit, ensuring that the 35th GGN would be remembered as one of the wettest in history. 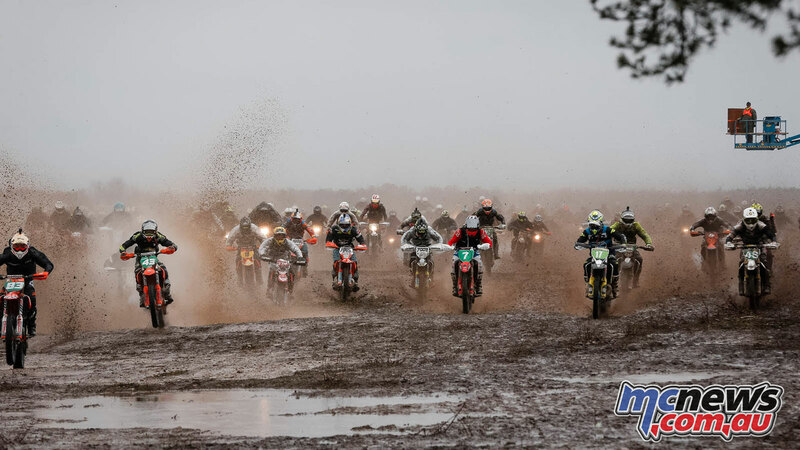 As the Elite, Senior and Junior class riders blasted off the start line on Saturday, thousands of riders jostled for position in the mud. 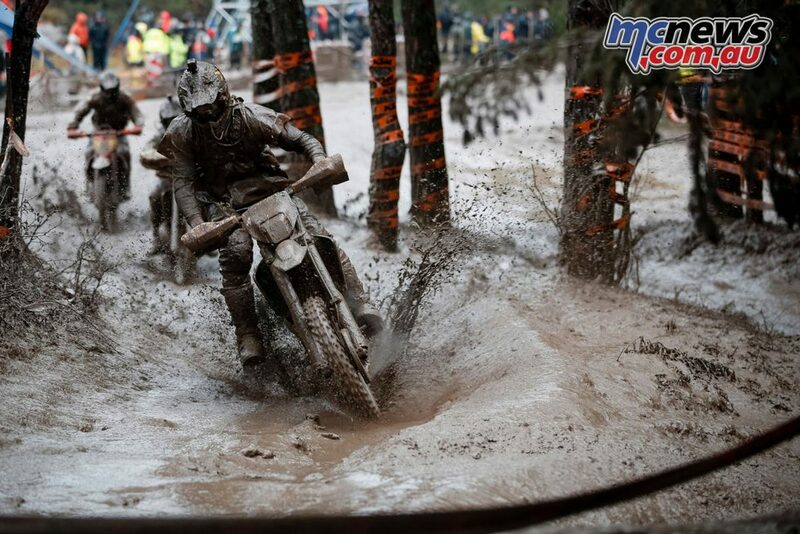 Clearing the early carnage safely, Elowson moved into the race lead on lap one followed by Kvarnstrom. 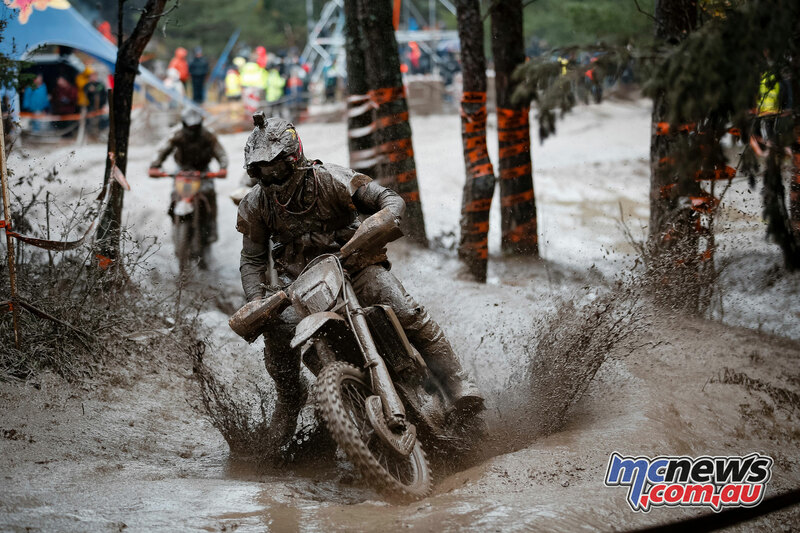 The duo then went head-to-head, pushing a pace that quickly saw them distance themselves from the ensuing pack. 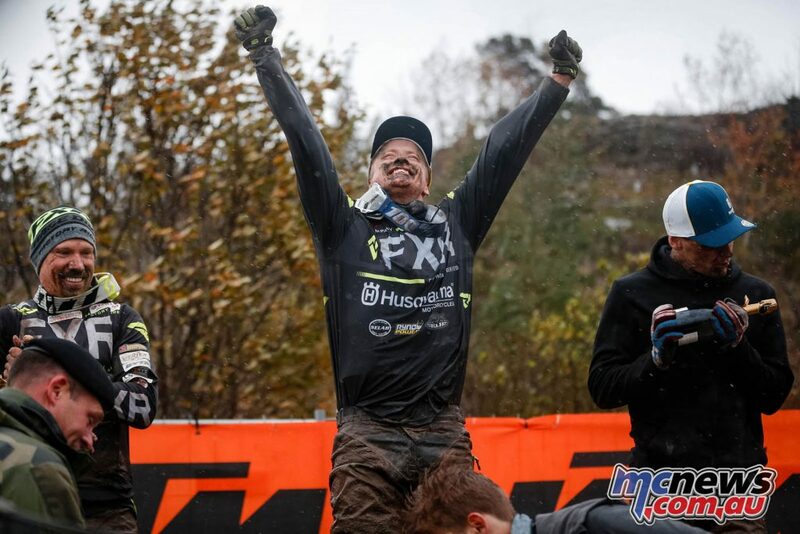 By midway, Elowson showed no signs of slowing down and pulled clear of Kvarnstrom to claim a convincing win at the end of the sixth and final lap. 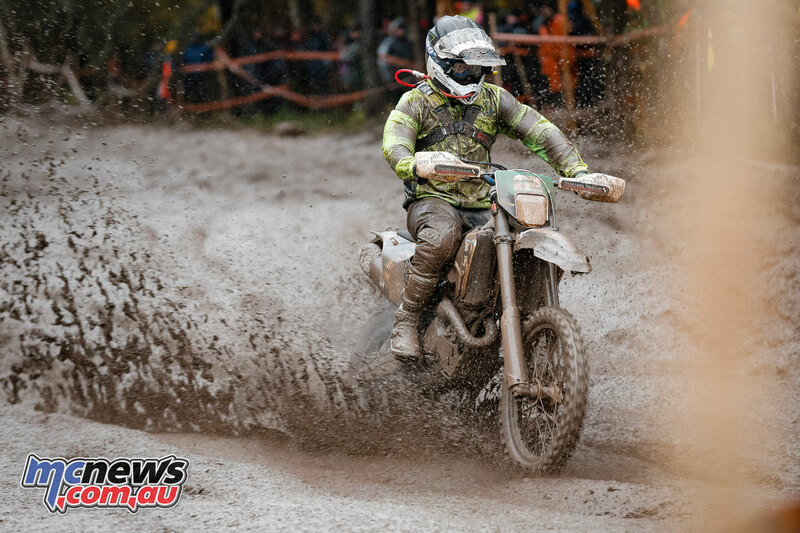 Despite a late push by Kvarnstrom, the Yamaha rider had to settle for the runner-up position, while Bengtson rounded out the podium in third. Apart from the local top three, Taddy Blazusiak worked hard in the final stages of the race to claim fourth, while Sebastian Martensson rounded out the top five. 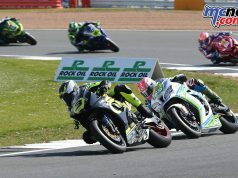 When it came to WESS the title contenders, Spain’s Josep Garcia crossed the finish line in 12th to slightly close the gap to series leader Bolt, who finished 13th. 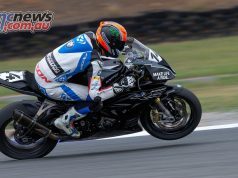 Although holding 25th with one lap remaining, a crash in the closing stages of the race pushed Manuel Lettenbichler back to 43rd overall. 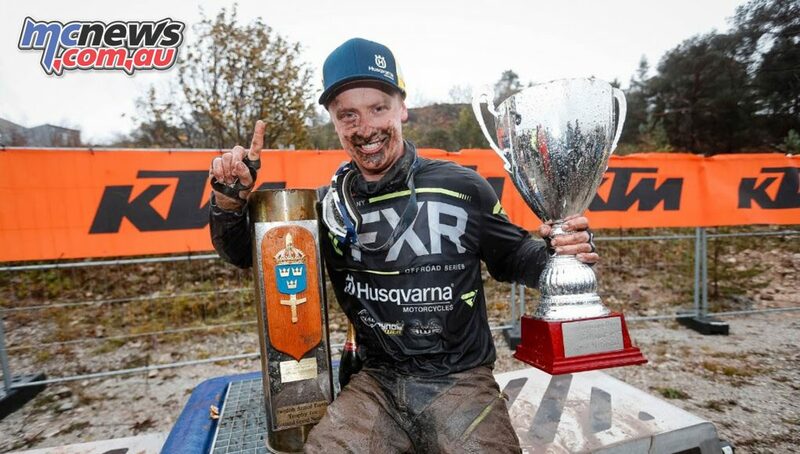 With just the final round of the championship remaining, Bolt extended his advantage over Lettenbichler to 275 points. Garcia, in third, closes to within 445 points of the second placed Lettenbichler. 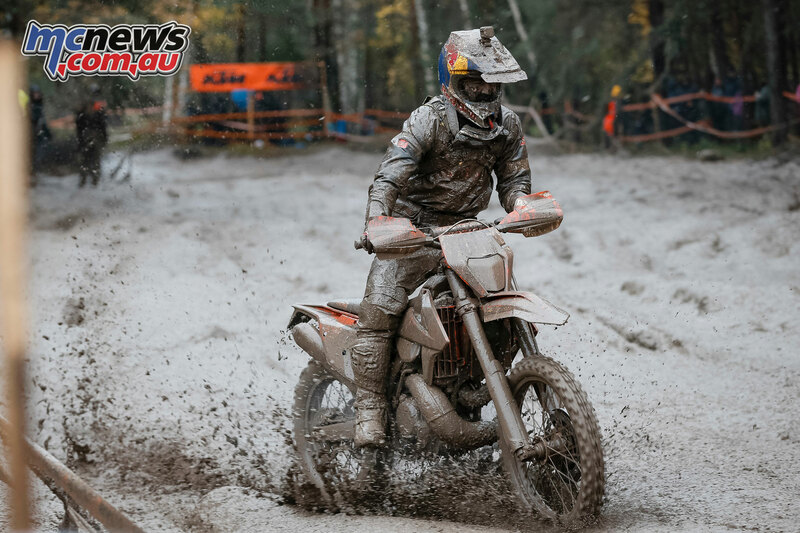 Blazusiak’s fourth place result at GGN sees him move up to fourth overall, but more importantly he now sits just 25 points behind Garcia as the race to become this year’s ‘Ultimate Enduro Champion’ moves to The Netherlands for Red Bull Knock Out. 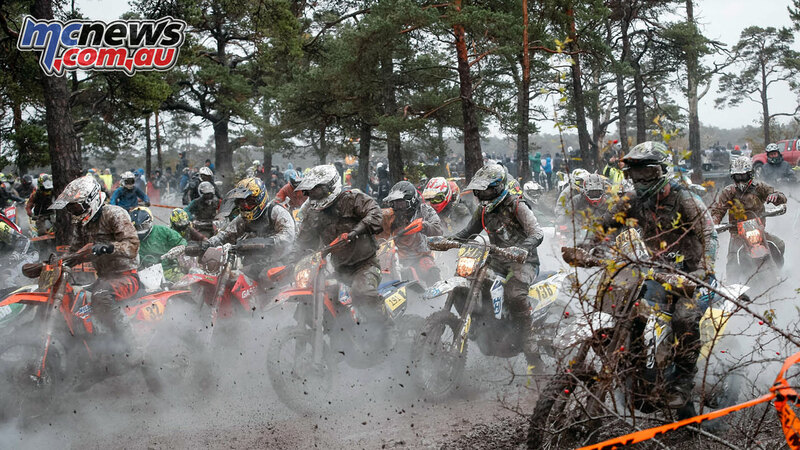 The World Enduro Super Series concludes with the eighth and final round – Red Bull Knockout –on November 10.